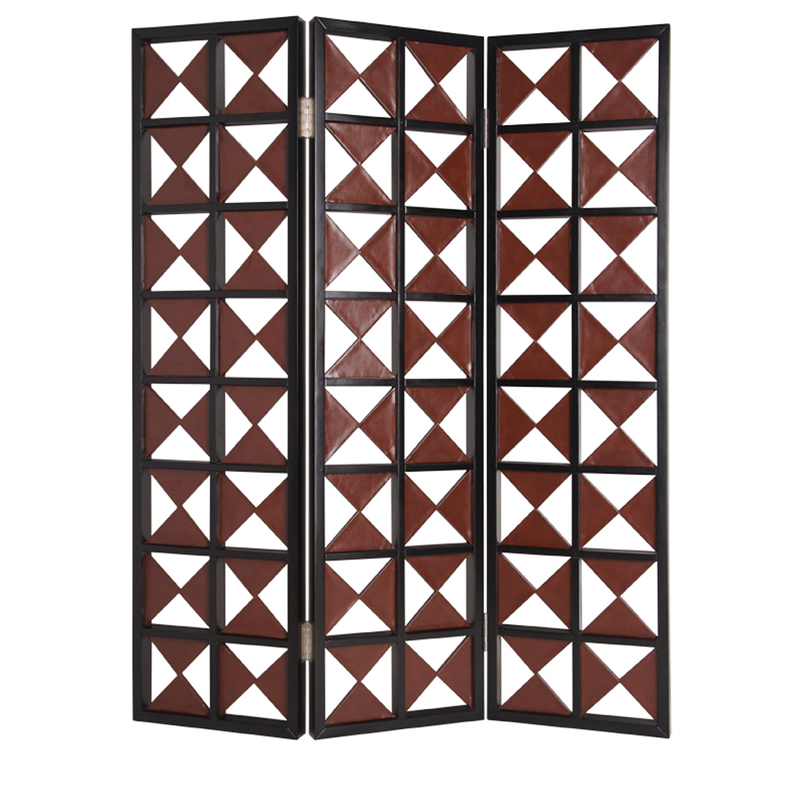 For a highly modern appeal and wonderful accent piece, the Navarro Screen is the perfect tool! 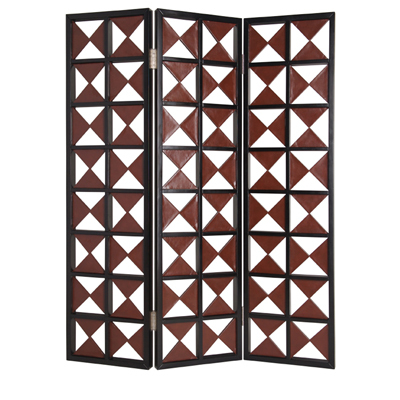 The leather wrapped triangles are tastefully arranged in a current, stylish pattern. This handmade screen is finished on both sides.